This could be the best Australia VPN, or it could be based on IP Vanishes hype of being the best VPN service in the world. We will see if this IPVanish review Australia matches with what they say, or they come up short and “their own hype” is hyped up a little too much. This US-based VPN provider has a lot to offer and is like by a high number of users. Is it the one for you? That is another matter entirely. Being another VPN provider who has faith in their service and doesn’t offer a free trial, they do offer a 7-day no risk money back guarantee. Can this provider be the cheap VPN you have been looking for? IPVanish manages all of its own infrastructures, so nothing is subcontracted to a third party. It boasts 1,000 servers which are dotted around 60 countries and although not the most significant numbers they appear to be highly liked by a vast number of users. Torrenting with IPVanish is more than supported, they encourage it. This is good to know especially when you have unlimited data throughput, unlike some other VPN services where this could be a problem. Although the company is US based and the fear of any 5-eyes intrusion might scare off a potential subscriber. The company does state they retain no logs whatsoever. This is one of the reasons they actively promote P2P file sharing. The kill switch which is included prevents other apps from connecting while you have no VPN protection. In the case of your connection dropping the kill switch here prevents any apps connecting until the IPVanish client has restarted first. Another useful feature is the “Block LAN Traffic” this gives you automatic protection if connecting via Wi-Fi. A laptop is prevented from connecting to any open hot-spot without you knowing. With this comes an auto-reconnect, so the need for continually checking whether IPVanish is connected is done away with. If you look how to use IPVanish when changing protocols, they have made this simple. Through the use of a drop-down menu, you can select the protocol you desire. This being said you are better off staying with OpenVPN for the most unless you are streaming where UDP can be a much better option. However, IPVanish Netflix support is none existent so streaming would need to be from another source. 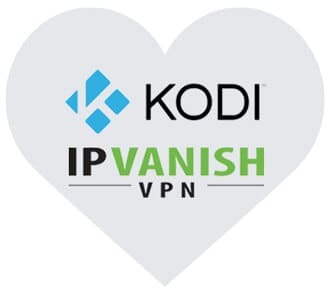 This could be a deal breaker for many, although IPVanish Kodi support can replace the need for Netflix connections. Device connection is well catered for, and 5 simultaneous devices are able to connect at one time. Platform support is also high with Windows, Mac OS, iOS, Android and other obscure platforms although these require manual configuration. Another feature IPVanish offers is the access to an exclusive proxy server SOCKS (socket security) this means you are able to connect a device without downloading a client and installing it. This allows higher speeds while masking your IP address. It does, however, have a downside. For this speed increase, security is reduced somewhat. It is enough to conceal your surfing but preventing security and privacy it is something it is unable to do. 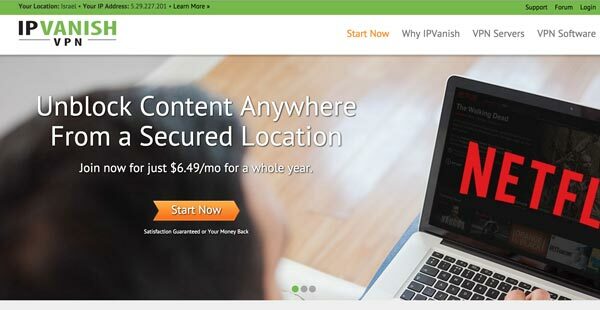 Installation of the IPVanish download is straightforward although unlike a few VPN providers there is a chance you might have to restart your computer. This isn’t a significant issue and is more of a gripe than anything. Once the app has been launched, you are faced with an interface that is laid out well and intuitive to use. All you need is in clear view along with plenty of settings you can play with if you so wish. On the screen the app shows the location which is visible and a status indicator which is self-evident, it is either on or off. This being said. If you decide to use the SOCKS5 settings, there are no setup instructions which are clearly visible. To find these, they are easily searched for on google or IPVanish has an article on the subject. Any options you choose are all accessible from drop-down lists so you can quickly select a country, city and then the server of choice. From the server list you can re-order these by load time or alphabetical, and also you have the option of selecting them as a favourite which is done merely by clicking on the star. From here you have a few security options. You can set it to start up with Windows which is handy if you are prone to forgetting, and also if you have a server of choice in which you wish to connect. Here you can also find the settings for your kill switch and even the Wi-Fi options. This can be seen as the crucial area of any VPN service. Speed. Whether torrenting or streaming speed is a significant factor. When conducting tests speeds for the USA and Europe are pretty decent. This though fades if you compare IPVanish vs. ExpressVPN for Australia or other parts of Asia where server support is lacking. Here the speeds plummet and even on some occasions download speeds on US servers can be slower when you compare IPVanish vs. NordVPN. This doesn’t bode well when you compare the prices of the said VPN services. Tests conducted for streaming from outside of geographic zones picked up the fact a VPN was being used, and any streaming was blocked (Netflix and BBC iPlayer). This is one of the main reasons users opt for VPN’s. To find that a service is a hit and miss to the extent you say it isn’t a good option. For the most, this is a real deal breaker, but for torrenting users, it might be an option they can live without. Security though is top notch and as secure as any service you can find as it is the same as is used by many banking organizations. One point to make regarding performance or server usage is IPVanish offers no TOR compatibility. For many users this is not required, but, for some users, they need these extra layers of security for peace of mind (government’s surveillance and censorship). Company performance about user support is the weakest area of the entire service. As many VPN services are at times unreliable, it might be the case it is not something a user can resolve. With no live chat option available it is hard to see how they are able to promote a 24/7 support service. The service was so slow in testing, and the answer was only received after 1-2 days of issue. When you calculate this in hours, it is a long time to go with no protection that you are paying an above-average rate for. The website though does have a comprehensive knowledge base which can cover many problems, but having to figure it out for yourself when you are paying for the service is not very welcome. When you stack this on the other areas of concern, it might lead any user to think that the IPVanish promo code is a way to entice users to sign up. If this happens to be the case, it might mean better options are available, and users are opting for these, or current users have had enough of the IPVanish hype and have decided to quit before committing for an extended lock-in period. IPVanish has a raft of features although it falls short in specific areas which unfortunately can affect a good many users. This can make or break the deal when considering which VPN provider to opt for. There is then the fact of IPVanish not working for specific streaming services along with the speed drops to more remote areas. If users are in Europe of the USA, it could be a viable service with all the features it provides. At this point, it would be a matter of price, and unfortunately, there are many VPN’s that offer the same or better for cheaper sign-up options. Other factors which are both a plus and minus are the fact extra features are available for users in the Middle East and China this is one of the plus points. When you take a look at their support service is anything but efficient it negates many of the good things they offer. For the more technically advanced users, the support might be a minor quibble, although for many users who need this sort of assistance it can leave them frustrated and with systems which are not protected until they receive a response and that concludes our IPVanish review, let us know your comments below.